What does it mean that SpaceX did not receive a contract? “SpaceX does not need development money for Falcon 9 or Falcon Heavy,” said Charles Miller, president of NextGen Space. The Air Force’s top procurement official Will Roper told reporters that SpaceX is a “key member of our launch team” but would not discuss why the company didn’t get a contract or even if the company bid at all for the Launch Service Agreement awards. SpaceX did not respond to requests for comment. The LSA program was started in 2015 to nurture domestic launch providers as the Air Force faces a 2022 deadline to stop using the Russian RD-180 engines that power ULA’s Atlas 5 rocket. SpaceX received funding in the initial phase of LSA to develop propulsion technology. 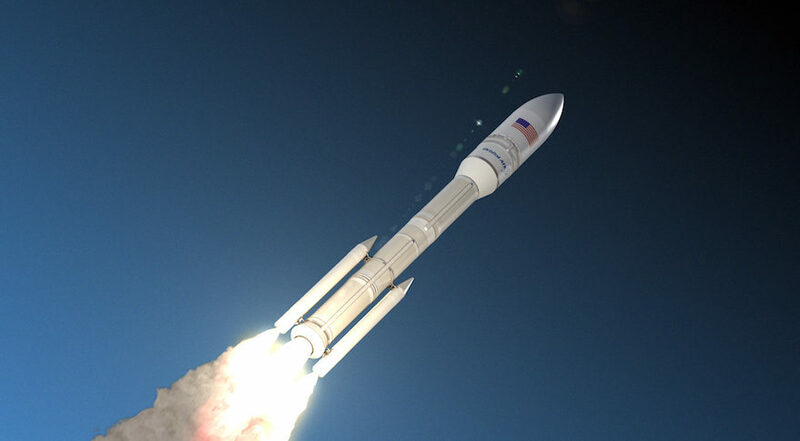 For the current phase of LSA — the actual development of rockets that can be certified to fly national security missions — the Air Force awarded Blue Origin $500 million for the development of the New Glenn rocket, Northrop Grumman $792 million for its OmegA rocket and ULA gets $967 million to develop the Vulcan Centaur rocket. SpaceX, considered by some to be a shoo-in for an award because it’s already proven its mettle by launching national security payloads, was the odd-man out. “SpaceX does not need development money for Falcon 9 or Falcon Heavy,” said Charles Miller, a former NASA adviser and president of the NextGen Space consultancy. SpaceX development efforts are now focused on the Big Falcon Rocket and that is not a vehicle that has much appeal to the Air Force, Miller said. There is a strong probability that SpaceX was a no-bid because it already has what the Air Force wants, which is a reliable, low-cost rocket, Miller said. The BFR is too big for what the Air Force needs, especially as the military tries to move away from huge satellites to disaggregated constellations, he said. “They want reliable low-cost access to space,” and SpaceX has two vehicles that don’t need to be developed. The strategy behind LSA is to bring new domestic competitors into the market. The three companies that got development funds are expected to be ready to compete for launch procurement contracts in the next phase of LSA, which the Air Force calls phase 2. Phase 2 will be an open competition. All the LSA winners have to bid for launch contracts, or return their development funds to the government. SpaceX presumably would bid as well. An Air Force official who spoke with SpaceNews on Thursday said phase 2 will be a procurement competition for a yet-to-be determined number of missions over five years. Only two suppliers will be selected and they will split the work 60/40. “Anybody can compete,” he said, but under the agreement with the three LSA winners, “anybody that is not chosen for phase 2 procurement will have their OTA funding terminated.” OTA, or Other Transactions Authority, is a cost-sharing agreement that the Pentagon can use for the development of new systems instead of traditional cost-plus contracts. “All three are required to pursue phase 2 procurement as part of the arrangement,” the official said. If any of the three LSA winners fails to bid for phase 2, they will have to pay the OTA money back. “We chose three LSA partners to guarantee that there are three to compete for phase 2,” the Air Force official said. He did not mention SpaceX but insisted that phase 2 would be wide open. If only two companies are selected for phase 2, what happens to the losers? Can their rocket ventures survive without the Air Force as a customer? At the end of the five-year phase 2 procurement, the Air Force would reassess the industrial base and decide if there is sustainable competition for phase 3. The Air Force is working on a draft solicitation for phase 2 that could be released later this year or early in 2019. Miller speculated that the Air Force would have to pick ULA or SpaceX in phase 2 because they are the only two with a track record in national security launches. The calculus would be that if Blue Origin does not win phase 2, its billionaire owner Jeff Bezos would continue to develop the rocket at his own expense and keep the market competitive. Similarly, Northrop Grumman could keep OmegA alive even if it does not win phase 2 by drawing on funds from other government programs. “If I were the Air Force, I would want Bezos in the background putting competitive pressure on the two companies I did select,” said Miller. It seems unlikely that the Air Force would pick Blue Origin and SpaceX in phase 2 because that would effectively put ULA out of business, he said. “You pick ULA because you know they won’t be around if you don’t pick them.” ULA is a joint venture of Boeing and Lockheed Martin established to serve the government launch market. Mike Laidley, vice president of the OmegA program at Northrop Grumman, told SpaceNews that the company expects to fly the rocket in 2021 and will be ready to compete for phase 2. “We’re going to be hiring a lot of new people at all of our facilities,” Laidley said. Northrop Grumman’s strength is that it’s a “stable supplier that can handle fluctuating demands that are pretty typical in the space industry,” Laidley said. The $792 million OTA contract will help accelerate development and certification, he said. All three companies have to meet pre-established milestones in order to get the funds.